I know it is a little late to be posting about Christmas, but I have been out of town and out of IT lately, so trying to get back in the game. 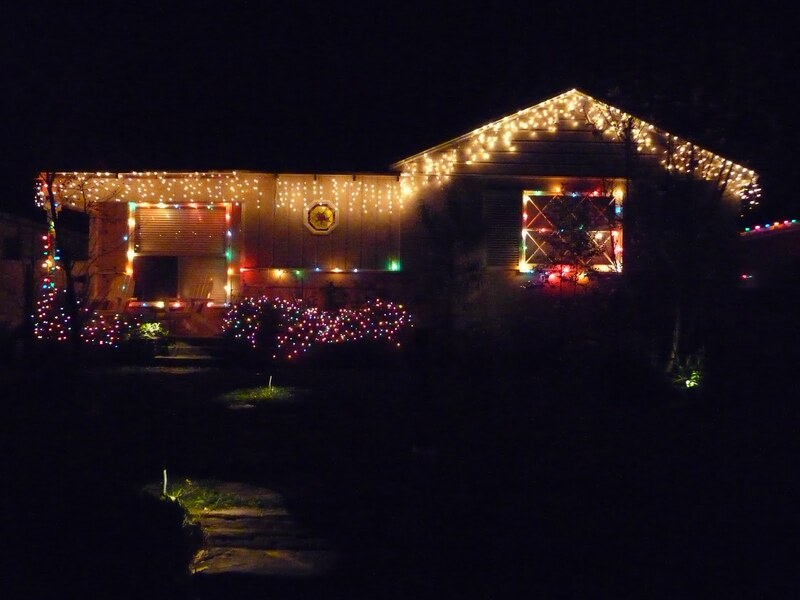 I just LOVE Christmastime, so I couldn’t bear leaving it out of my blogging endeavor. One of the things I enjoy most this time of year, is decorating our home for the holidays. Last year was our first Christmas in our home, but this year is the first one as husband and wife. 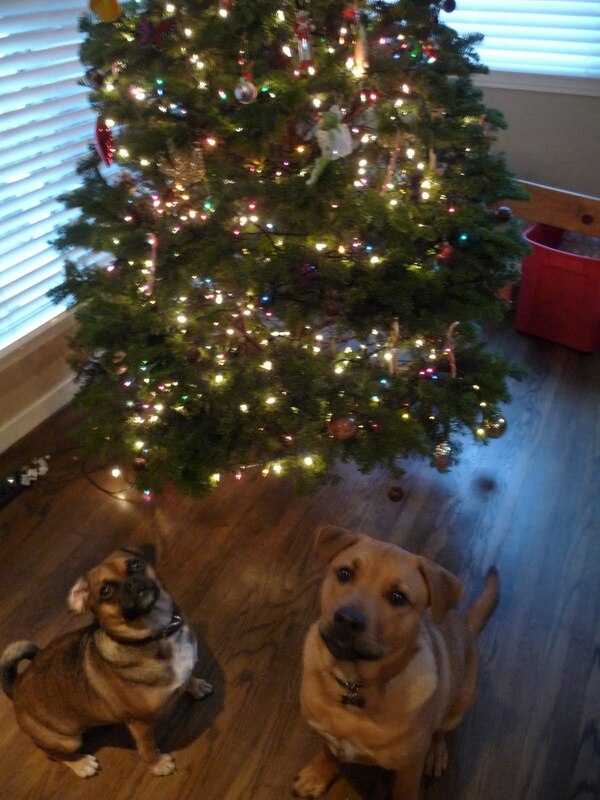 Our Christmas puppies. Ruby, our two year old puggle, is on the left and Teddy, our 8 month old lab mix, is on the right. Teddy ate many ornaments this year, including a ballerina one my grandmother gave to me many years ago. You could say I was a bit unhappy to find that one crunched up on the floor one day. How fun are lights? I think we should change colors with each season and have lights up all year. There isn’t a better feeling than driving up to the house at night and seeing all the pretty twinkles. This was something new I tried this year. 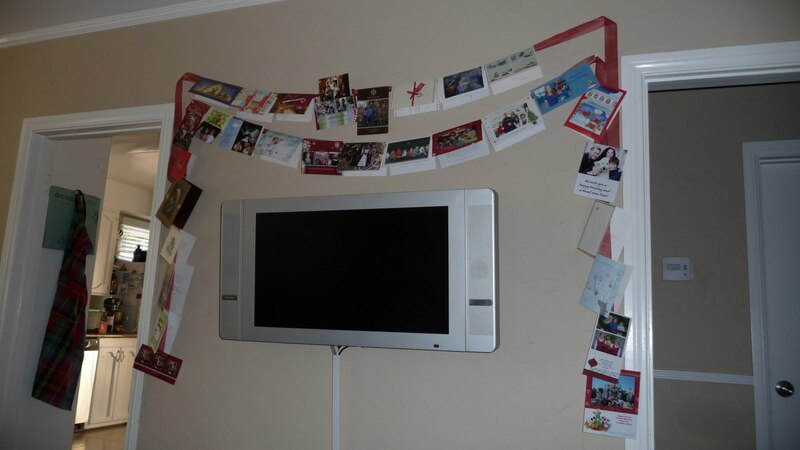 Instead of propping up the Christmas cards we receive on a table, I hung a strand of wide red ribbon and attached each card as it arrived, making a garland! We got so many cards this year, I had to add a second strand on top to display the rest. I still can’t bear to take it down, but I think I will do this for every occasion where we get lots of cards. I already have ribbon picked out for my birthday card garland! 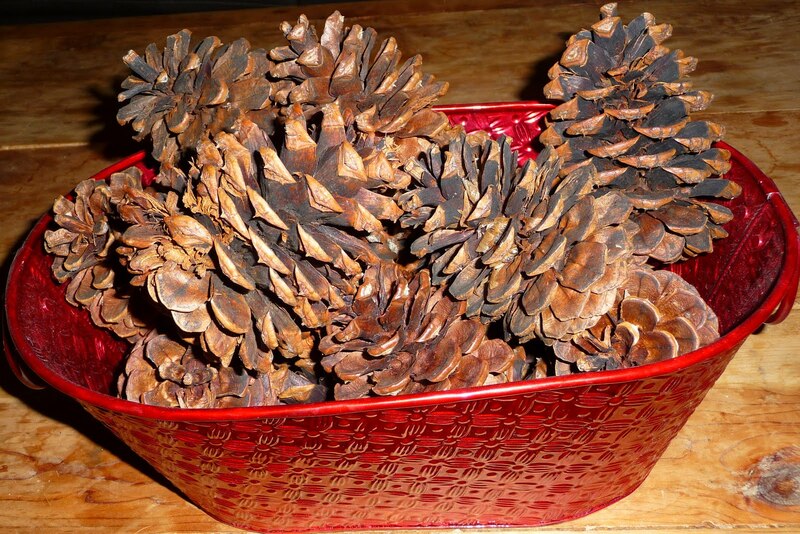 These are my cinnamon scented pine cones. I must have them every year. This year, they were a bit harder to find, but I got the last two bags from Joann’s on sale! Christmas Day! 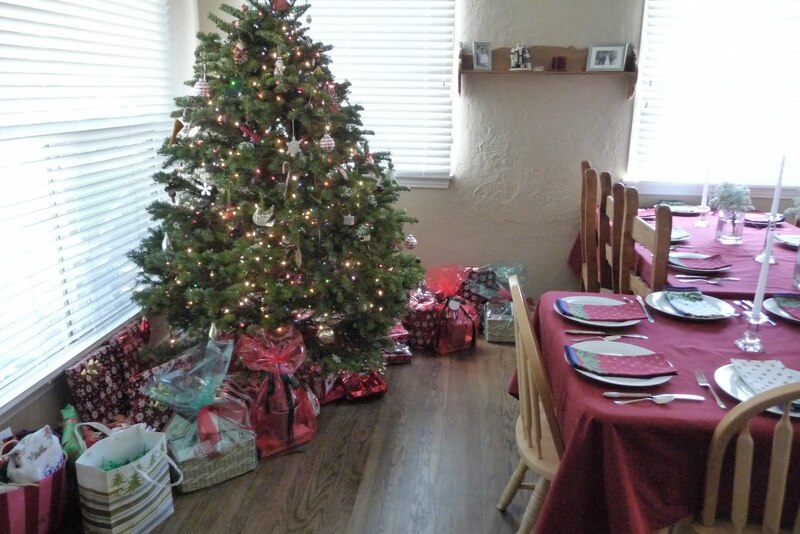 Table is set, presents are under the tree, everything is waiting for the family to arrive. I used vases from our wedding filled with bunches of baby’s breath to create an airy, snowy centerpiece. Once lunch was ready, we move the table on the end to create one long table where we could all sit together. Up next, let the festivities begin!